Write about an encounter between two people in a hothouse, beside the giant lily pads. Could be crime, could be romance, could be something else entirely. Add a frog if you like. Want to get started on submitting short fiction to magazines and competitions? Come to our session on Building a Writing CV. Beginners & experienced welcome. November 7th. This entry was posted in Writing Prompts and tagged flash fiction, Joanna Campbell, memoirs, short shorts on September 26, 2017 by Editor. Write an updated version of the story about the tortoise and the hare. Use people instead of animals. Write your first draft fast, edit slowly. Want to come to our writing sessions? We’ve three new writing events for the autumn open for booking now. Fun and friendly. Beginner and experienced writers welcome. This entry was posted in Writing Prompts and tagged competitions, creative writing. short stories, flash fiction, memoirs, writing sessions on August 8, 2017 by Editor. 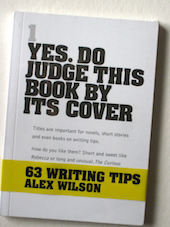 Getting short fiction published in literary and commercial magazines, and winning or being placed or listed in competitions are good ways to build your writing CV and become visible as a writer. In the first half of the session, Jude and Alex will offer suggestions about different opportunities to get published for both beginner and experienced writers. In the second half, local award winning writer, Joanna Campbell, will talk about her route to publication in several different genres and answer questions. Tuesday November 7th in the Pavilion room at Hall and Woodhouse Bath. Joanna Campbell’s stories have appeared in numerous competition anthologies and literary magazines. In 2015, Brick Lane Publishing released her debut novel, Tying Down The Lion, and she also became the winner of The London Short Story Prize. In 2016, her solo short story collection, When Planets Slip Their Tracks, was published in hardback by Ink Tears. It was subsequently short-listed for The Rubery International Book Award and was long-listed for The Edge Hill Short Story Prize. Her novella-in-flash, A Safer Way to Fall was a runner-up in the Bath Flash Fiction Award inaugural novella–in-flash contest and is published in the collection of the three winners, How to Make a Window Snake. See her work on joanna-campbell.com and tweet her @PygmyProse. Jude’s short-short fictions have won or been placed and listed in many different competitions and she is published in National Flash Fiction Day anthologies, the Fish Prize Anthology, Cinnamon Press, Flash Frontier, Great Jones Street, The Blue Fifth Review, The Nottingham Review, Severine and Halo literary magazines among other places. Her debut flash fiction pamphlet, The Chemist’s House has recently been published by V Press. She’s a champion of short story competitions as a way of supporting writers and runs Bath Flash Fiction Award and co-runs Bath Short Story Award. Alex’s short stories have won prizes in several competitions including first prize in the 2009 Frome International Short story competition. Six of her prize winning stories are in her online collection ‘Holding On’. Other stories are published in the anthologies : The Amazing True Adventures of Totally Normal People and ‘Tales of Psychotherapy’ Her short stories have also been published in commercial magazines. Currently, her story ‘Rain’ is in the latest issue of In the Moment and another story is forthcoming in the same magazine later this year. Check out our terms and conditions and contact us for other methods of payment. This entry was posted in Events and tagged compeitions, Joanna Campbell, memoirs, novellas, novels, publication, short stories on August 7, 2017 by Editor.